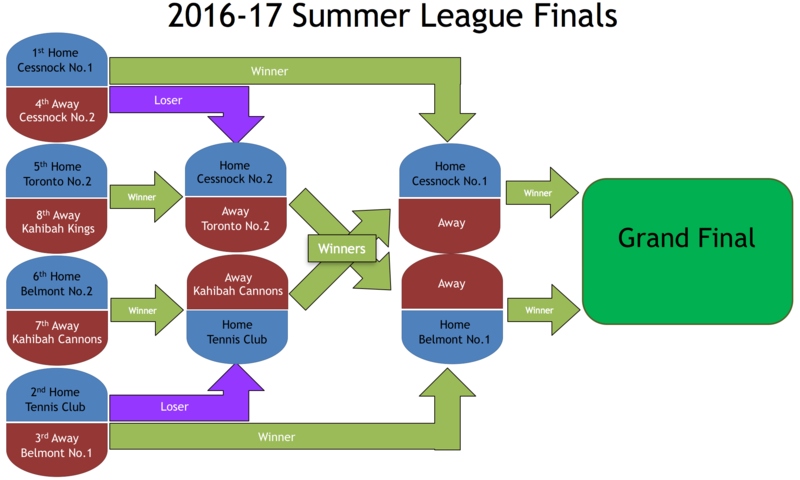 Congratulations to Belmont 16′ Sailing Club No.1 and Cessnock Ex-Services Club No.1 both progressing to the preliminary final of the 2016/17 Summer League. Cessnock Ex-Services Club No.2 vs Toronto Worker’s No.2 6:30pm at Cessnock Ex-Services Club. The Tennis Club vs Kahibah Cannons 7pm at the Tennis Club.